Details have been released on a multi-county, high-speed pursuit Friday leading to a patrol unit being struck, shots being fired at an oncoming vehicle and four people being arrested. According to the probable cause affidavit filed Monday, the incident began when a Batesville Police Department officer conducted a traffic stop. The 2019 pickup truck contained a driver and three occupants. The driver, identified as 21-year-old D.E. 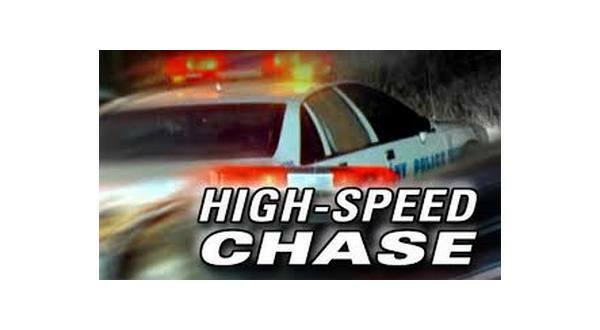 "River" White of Cave City fled the traffic stop at a high rate of speed, with officers from the Batesville Police Department and the Independence County Sheriff's Office in pursuit into Izard County. The truck reached speeds in excess of 90 miles per hour, while driving on the wrong side of the road. During the pursuit, the vehicle passed an Izard County Sheriff's Office vehicle on Arkansas Highway 69, striking the unit. However, the Izard County deputy was able to establish a one-lane road block with his patrol car. He exited his vehicle as White drove toward the unit and the deputy at a high rate of speed. The deputy fired three rounds from his sidearm at the rapidly approaching truck. The truck swerved around the deputy and continued on, with officers continuing the pursuit. The fleeing truck took several further turns, colliding with and knocking down a stop sign, before entering a ditch and coming back onto the roadway. The truck was traveling slowly when the Izard County deputy again pulled his patrol car in front of the truck ending the pursuit. The four subjects in the truck fled on foot and were apprehended a short time later. In addition to White, the other vehicle occupants were identified as Trevor Woodham, Tiara Trammell and 27-year-old Britanie Southerland of Batesville, also known as Britanie Lopez. Ages and addresses for Woodham and Trammell have not been made available. During a search, officers located drug paraphernalia. White told officers the vehicle belonged to Woodham, who told law enforcement it was uninsured. The Arkansas Crime Information Center database indicated White's driver's license is suspended. White faces felony charges of aggravated assault, first-degree criminal mischief, fleeing and requirements in accidents involving death or personal injuries, along with misdemeanor counts of fleeing, insurance required-minimal coverage, driving while license cancelled, suspended or revoked and improper use of evidence of registration. His bond was set at $30,000. Southerland has been charged with a felony count of possession of drug paraphernalia, as well as a misdemeanor count of fleeing. Her bond was set at $5,000. Records do not reflect charges for Woodham and Trammell.